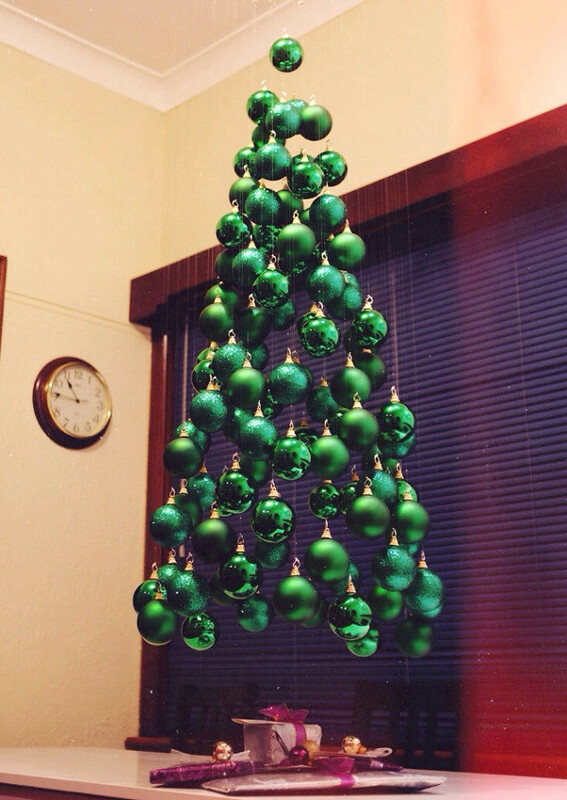 Check out this Floating Christmas Tree from Not Martha. It’s made from hanging green Christmas ornaments from a vegetable steamer rack. So clever. There’s a tutorial to show you how to do it too.